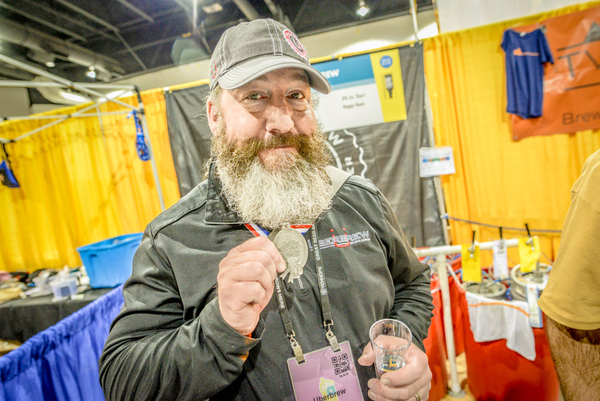 BILLINGS, MT, October 19, 2017 /24-7PressRelease/ — Uberbrew, an award winning Billings-based brewery and eatery announced their latest release, CANU, took the silver medal at the Great American Beer Festival (GABF) in Denver, CO held on October 5-7, 2017. GABF is the country’s largest and most prestigious festival with over 7,923 craft beer submissions. Entries are held to a rigorous set of style guidelines by the festival’s Professional Judging Panel until the top three beers that best represent each category rise to the top. If beers are not deemed to be world class, judges may not award medals. This year Uberbrew’s CANU won the Silver medal for American Style Cream Ale, beating out 90+ world class breweries. Uberbrew’s CANU has come out of the gates strong since it’s release this summer. CANU took top honors with a Gold medal at the North American Beer Awards and another win soon followed with a Bronze at the 2017 US Beer Open. CANU is proving to be the latest rising star in Uberbrew’s lineup of award winning craft beer. 2017 GABF Silver Medalist “CANU”, 2016 GABF Gold Medalist “White Noise” are currently on tap for a limited time at Uberbrew in downtown Billings, Montana. For a list of additional select locations to taste their award winning brews please contact [email protected].